What is different about our house ? You can have the whole house to yourself. Absolutely no sharing with others. Our house is located in a safe and quiet neighborhood, and comfortably hosts up to 4 guests. It's Wheelchair-accessible (1st floor), and there are children's toys (badminton, kickboards, Chromecast, etc. ), so it's perfect for a family trip! We've applied for the official "Japanese-style guesthouse license 簡易宿泊業", so you can feel completely safe, and no awkwardness with neighbors! We hire professional cleaning stuff and use fresh and clean lines. We also use futon cleaner every time to keep them clean, so you can feel comfortable, and have a good rest. A free parking spot in front of the house (garden), and 4 bicycles available for guests. Yes, you can definitely cook in our house! Everything you would need for cooking is prepared in our kitchen. We stock our house with all the necessities: coffee/tea, variety of cooking utensils, condiments, dinnerwares, paper towels, garbage bags, liquid dish soap, bath products, towels, hair dryer, clean linens, cleaning products, laundry products, toilet paper, tissues, iron & ironing board, stationeries, air conditioner(each room), air purifier/humidifier, futon dehumidifier/dryer, guidebooks, tourist pamphlets, chess, cards, games, Chromecast, etc. There are pretty much everything you would need for a comfortable stay, so it feels very "homey" and you can pack light! We've applied for the official "Japanese-style guesthouse license"簡易宿泊業, thus required to obtain a hardcopy of our guests' passport. Please bring a hardcopy of everyone's passport and put it inside the envelope on the table or please take a picture and send it via Airbnb massage. We do not charge children under 5 years old, and give additional discounts to children under 12 years old. Also, we would give additional discounts for larger groups and longer stays. High speed, unlimited internet available at house. Complimentary drinks, teas and coffee, fruit jam&butter, variety of condiments, bread for cooking and breakfast. 4 bicycles available for you - parked in the garden. Please keep them in the garden, and don't park them on the street in front of the house. A free parking spot available for one vehicle in front of the house (in the garden). There is another car usually parked there too, so when you park, please park it in the far left. We have 5 sets of futon mattress for our guests - 2~3 sets on each floor (inside the futon closet). We hire professional cleaning stuff and use fresh and clean lines, so you can feel comfortable and have a good rest! Washing machine and dryer, located outside. You can either hang clothe in garden or use a rooftop terrace on the 2F. Detergents and softeners available. The listing is remodeled all-electric house. For our guests' safety, we have first-aid box located inside the cabinet in the living room, and installed wired fire alarms, fire extinguisher, intruder alarm (it's a very safe neighborhood, so you probably do not need this). Never stayed in a house where the guests were received with so much care and consideration. Never stayed in a house where the guests were received with so much care and consideration. Beautiful house and garden in very quiet neighbourhood with excellent internet. Even a parking place available. We really enjoyed our 6-nights stay here. 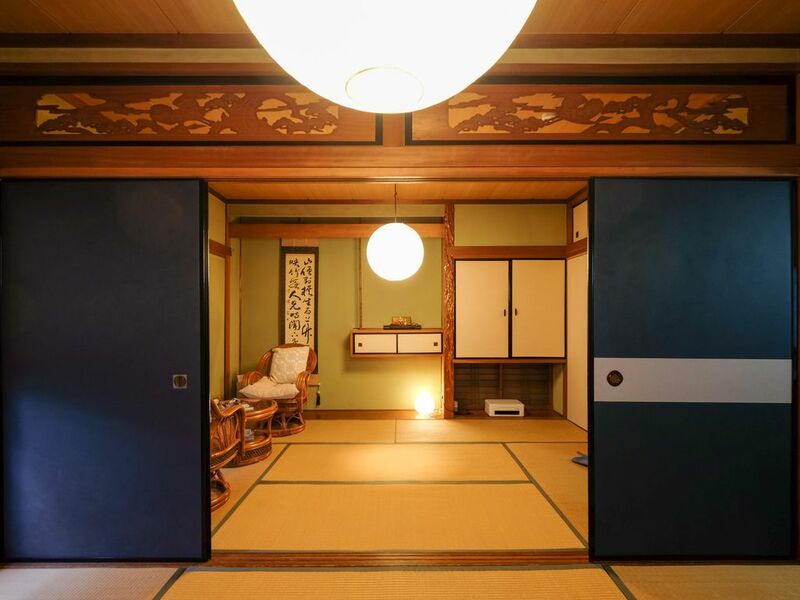 The house is very clean and maintained perfectly and comfortable with quaint japanese interiors. The owner, Yoriko is very friendly and hospitable. We would definitely recommend "Cozy Private Japanese-style House" to everyone! A home away from home. Yoriko is the perfect host - very warm, welcoming and will to help. Loverly home with all the comforts you require. Quiet location with easy access to the town centre, shops and rail station. Recommended! Much better than a hotel.